The technology adds a level of comfort that helps protect against adverse drug events. When it comes to medication errors, there are the high-profile cases such as the one in which actor Dennis Quaid’s newborn twins received an overdose of heparin. Then there are stories such as that of Julie Thao, a nurse who was criminally charged with neglect and causing great bodily harm after she mistakenly administered the wrong medication to a patient during childbirth. The 16-year-old patient later died, and a human life and a nursing career were lost due to an error that many believe could have been avoided with the right technology—specifically, bedside bar coding. These are real-life stories and real-life problems. The 2006 “Preventing Medication Errors” report issued by the Institute of Medicine (IOM) found that errors are common during every step of the medication process in hospitals. From procuring and prescribing a drug to dispensing it, administering it, and monitoring its impact, errors abound. The report says errors occur most frequently during the prescribing and administering stages and estimates that upward of 450,000 preventable adverse drug events occur in hospitals each year—a total that many believe is on the low side. When all types of errors are taken into account, the committee behind the study suggests that a hospital patient can expect, on average, to be subjected to more than one medication error each day, with substantial variations in error rates across facilities. Many healthcare experts are encouraging hospitals to adopt bedside bar coding to address the problem of medication errors, a shift away from what was a previously long-standing choice of computerized physician order entry (CPOE). “It [bedside bar coding] addresses the wrong drug, the wrong dosage, and the wrong patient,” says Diane D. Cousins, RPh, vice president of healthcare quality and information with U.S. Pharmacopeia. A 2007 study published by the Journal of Nursing Care Quality surveyed a convenience sample of 61 medical-surgical nurses, all of whom expressed a perception that bar coding decreases medication errors. Despite such beliefs, Cousins says only 10% to 15% of hospitals have adopted the technology. Following the 1999 release of the IOM’s landmark patient safety report, “To Err Is Human: Building a Safer Health System,” Sutter Health in northern California became one of the first health systems to set the standard for bar code use. To the tune of $25 million, the project was set in motion, along with several other technologies, in 2003, when the first two of Sutter Health’s 27 hospitals went live. “At that time, less than 3% of hospitals had bar coding,” says Thomas Leonard, RN, MPA, Sutter Health’s bar code technology project manager. At that time, implementing the technology was a challenge considering that bar codes were not required on medications. In 2004, an FDA rule later went into effect requiring bar codes on product labels for certain drugs and biologics such as blood. “There are more bar codes coming to us on medications now,” Leonard says. “More than 50% have read-to-read bar codes.” Along with improvements in bar coding, he also points out that scanners have been upgraded, and wireless technology continues to become more robust. 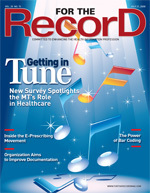 Gordon C. Hunt, Jr, MD, MBA, chief medical officer at Sutter Health, says bar-coding technology was chosen because it addresses the “five rights”—an industry safety guideline for medication administration that points to the right patient, the right time and frequency, the right dosage, the right route, and the right drug. Essentially, when used correctly with a bar code scanner and a computerized patient information system, bedside bar-coding technology can help ensure that the right dose of the right drug is given to the right patient at the right time. “[The technology] will say, ‘Hold on, is that the medication you want to give that patient?’ Or ‘Hold on, is that the right dosage for that patient?’” Leonard says. At the University of California, San Diego (UCSD) Medical Centers, bar-coding implementations at Thornton Hospital and UCSD Medical Center Hillcrest began in 2006 and were completed early this year. Informatics nurse Patrice Slojkowski, RN, says the outcomes and benefits were immediately recognizable, but the process of going live took long-term planning and effort. While a solid implementation strategy had to be in place, it was also important that rollout be flexible enough to make changes midstream. Recalling that the original equipment included computerized carts on wheels, Slojkowski says there were initial problems with the wireless connectivity. “That’s when we decided to go to the in-room technology,” she says. Hunt says having the nursing staff on board is paramount to the process and that forming a multidisciplinary team is crucial. “We spent a lot of time working with nurses to make sure the expenditure would be an effective solution,” he says. Leonard recalls that the implementation process literally reversed traffic and workflow patterns for nurses—routines that had been in place for 30 years in some cases. Understanding the importance of having nursing staff completely on board with the process, UCSD taught them up front to be trainers and “super users.” The technology was then rolled out unit by unit, and experienced nurses were added to the pool over time. According to Slojkowski, having nursing staff take the lead in training contributed to the success of the rollout because the trainers were empathetic to the changes and frustrations other staff members were experiencing. UCSD’s Kathy Swasey, RN, recalls that when a unit would go live with bar coding, many nurses would resist letting go of manual paper processes. “We had to pry open their hands,” she jokes. Recently, the organization had to go back to paper for a period of time, which the staff weren’t keen on doing, according to Swasey. “They said, ‘Never take away our [bar-coding technology] again,’” she says. Patient education also plays a role in the planning process, according to Slojkowski, who recalls that UCSD thought it important to be up front about the new technology, especially since some of the equipment resembles the shape of a gun. While statistics suggest that bar coding is a good bet for improving patient safety, hospitals cite numerous legitimate reasons for the lack of adoption, including budget constraints, competing IT priorities, and the lack of unit-dose bar-coded drug packages. Other reasons for slow adoption include technology unreadiness, a fear that bar coding will soon be replaced with newer technology, and a belief that the solutions are too costly and labor intensive. Pointing out that it really takes an end-to-end system to pull off bar-coding implementation, Cousins says the complexities of these systems can create adoption headaches. “There are a lot of pieces that have to be invested in to make this work. You have to integrate the technology with the EHR [electronic health record] and the inventory systems that exist in pharmacy,” she says. Mark Neuenschwander, cofounder of the Washington-based TerraPharma Project, says that while bar-coding technology is continuing to make inroads as an added layer of protection against medication errors, clinicians should be on guard since mistakes can still happen if the system isn’t set up or working properly. When the University of California, San Diego Medical Centers implemented bar coding, it was careful to train staff to use it as a “double-check system,” according to informatics nurse Patrice Slojkowski, RN. “We tell our nurses that they still need to use their clinical thinking skills,” she says. Diane D. Cousins, RPh, vice president of healthcare quality and information with U.S. Pharmacopeia (USP), notes that each year USP analyzes medication error records submitted by facilities participating in its national medication error and adverse drug reactions reporting program, known as MEDMARX. The data are compiled, summarized, and presented in an in-depth annual report. • Bar code medication mislabeled — accounted for 19 errors, one of which proved harmful to the patient. • Bar code failure to scan — accounted for 113 errors, one of which proved harmful to the patient. • Overriding bar code warning — accounted for 41 errors, none causing harm to a patient. Cousins offers two real-life examples where bar coding did not work as expected. In one case, a refill prescription was to be filled for Maxzide 50/75. Instead, it was filled and dispensed for nifedipine ER 60 milligrams. The patient took the medication for more than one month to reduce leg swelling, with no relief, later presenting to the pharmacy to question the medication. It was discovered that prescription’s label was printed somewhat distorted, and the bar code read incorrectly. In another example, an order was written for normal saline with 40 milliequivalents of potassium chloride at 150 milliliters per hour at a community hospital. The nurse scanned the bag, caught an error prior to hanging, and placed the IV bag in the return bin for the pharmacy to pick up. Later, a new IV bag was requested, and an oncoming nurse found normal saline with 100 units of regular insulin infusing, but normal saline with 40 milliequivalents of potassium chloride was found documented on the medication administration record. It was later determined that a failure to scan the bar code caused the error. Fortunately, in both cases, there were no long-term or lasting effects. In the first study of its kind, researchers led by the University of Pennsylvania School of Medicine’s Ross Koppel, PhD, analyzed how hospital nurses actually use bar-coding technology that matches the right patient with the right dose of the right medication. The result is that the design and implementation of the technology is flawed and can increase the probabilities of certain errors. Also, the urgencies of care and the ingenuity of nurses to cope with these shortcomings have the unintended consequences of creating other medication errors. These findings appear in the July/August issue of the Journal of the American Medical Informatics Association. The study also illustrates how adjustments to workflow and the technology can dramatically reduce the risk of these errors. These bar-code systems usually consist of handheld devices and computers that match machine-readable bar codes on patients and medications. If they match and are consistent with the ordered medications, the medications are given. If not, a signal usually goes off, alerting a nurse of a discrepancy. The study was conducted at five hospitals in the Midwest and on the East Coast but not at the Hospital of the University of Pennsylvania because it does not yet have medication bar coding. Koppel and his colleagues from other healthcare systems examined close to 500,000 instances where nurses and other staff scanned patients and medications. The researchers found that a high proportion of scans involved nurses overriding the technology with workarounds to compensate for difficulties with the bar-code systems. These researchers found that nurses scanning the bar code on the medication or the patient’s identification (ID) bracelet overrode the technology for 4.2% of patients charted and 10.3% of medications charted. In contrast, vendors of bar-code medication administration systems report error rates that are a small fraction of this study’s numbers, but vendors focus primarily on the ability to physically affix and read bar codes, not on the totality of the many processes in actual use. In addition to examining these scans, Koppel and his colleagues spent years shadowing nurses using the technology, participated in many bar-coded medication administration implementation meetings, and conducted scores of interviews with pharmacists, nurses, and IT leaders. Hospital patients, on average, are subject to one medication administration error per day, according to the Institute of Medicine. And in hospitals, medication administration accounts for 26% to 32% of adult patient medication errors. Thus, an automated system using bar codes to reconcile a patient’s medications and orders with the patient’s identity would be an advancement, helping to ensure the right patient receives the right dose at the right time. But what Koppel and his colleagues found were 31 “causes” of problems that engendered workarounds by the nurses. These causes included unreadable medication bar codes (crinkled, smudged, torn, missing, covered by another label), malfunctioning scanners, unreadable or missing patient ID wristbands (chewed, soaked, missing), non–bar-coded medications, medications in distant refrigerators, lost wireless connectivity, problems with patients in contact isolation, and emergencies. In some cases, if the pharmacy sent two 10-milligram tablets for a 20-milligram order, the scanners or computers would not accept the medications. Nurses devised workarounds to compensate for the awkward and inconvenient aspects of the bar-coding technology. These consisted of, for example, affixing extra copies of patient ID bar codes on desks, scanning machines, clipboards, supply room, and doorjambs, as well as carrying several prescanned patients’ medications on one tray. The researchers found that in the pressurized culture of today’s hospitals, nurses compensated for the imperfect technology and workflow by devising 15 types of workarounds. The study also presents typologies of workarounds, bar-coded medication administration causes, and the kinds of errors associated with each.